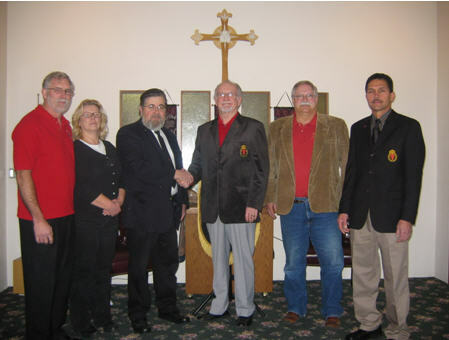 The Sovereign Military Order of the Temple of Jerusalem, Inc. is an autonomous and independent organization, incorporated in the United States, which seeks to emulate the chivalric and charity traditions of the original Templars; its members apply themselves energetically and selflessly to Christian charitable endeavors. Seeking God in our lives and promoting love and respect for our community. Increasing understanding between religions, helping pilgrims visit holy places, and maintaining a Christian presence in the Holy Land. Supporting the poor, sick, and unjustly accused; standing against oppression, and protecting freedom of speech. Encouraging the noble ideals of Chivalry; maintaining the monuments, archives, and history of the Knights Templar. 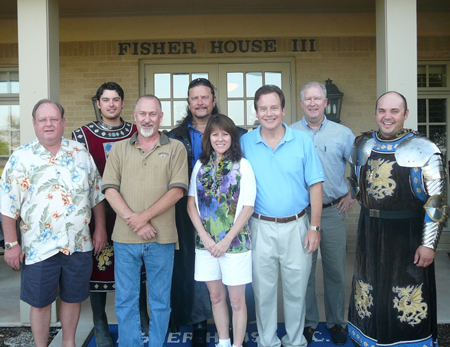 In short, we are the Modern Knights Templar, an Ecumenical Christian and Chivalric charitable Order. We do not claim a direct linage to the original Knights of the Temple, but we do seek to emulate their positive attributes in our daily lives today. We have adopted two of the original Templar missions of Protecting Christians at Risk particularly in the Holy Land and the Middle East and in Keeping the Road to Jerusalem open to all people as our own. Our guiding lights are the virtues of Faith, Hope and Charity, through which members aspire to serve faithfully as Knights of God's Temple. 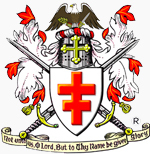 The motto of the Order, "Non nobis, Domine, non nobis, sed Nomini Tuo da gloriam" is the Latin version of Psalm 115, verse 1 -- "Not unto us, Oh Lord, not unto us, but to Thy Name be given glory." The Order, in an age of democratic materialism and secular humanism, seeks, by reconstituting an ancient chivalric order, to adopt an organization of proven effectiveness in capturing the allegiance and spirit of dedicated leaders, and to show that spiritual idealism is most certainly relevant and not inconsistent with a sensibility for tradition, nor inconsistent with patriotism nor civic duty -- thus the Order's purposes include assisting and facilitating the growth of the virtues of Christian gentlemen and ladies, by endeavor with God's Grace. The members of this Order believe they have an obligation to participate in the coalescing and preservation of a constructive force similar to that which created knighthood and chivalry during the Middle Ages. 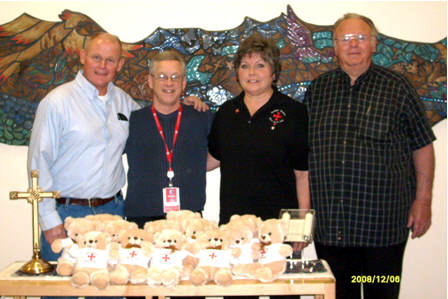 The Order has both a Chaplain's Corps for ordained ministers and a Chirurgeon's Corps for medical professionals. 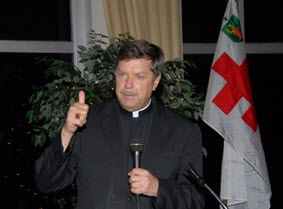 It also has an associated honorary Order of Merit that recognizes accomplished individuals of all faiths for their extraordinary work for God and humanity. 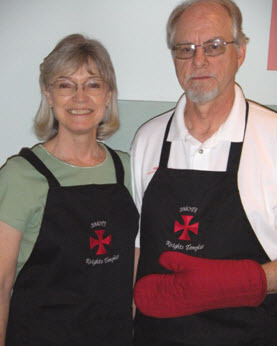 To become a Knight Templar, one must be a Christian by faith. The Order recognizes the Constitution and statutes of the United States and of its several States as sovereign and temporally supreme public law. The Order does not allow its members to act contrary to their obligations to their country. The Order is not a political organization and does not engage in politics. The Sovereign Military Order of the Temple of Jerusalem, Inc. (also referred to as SMOTJ) is not associated in any way with Freemasonry. There is clearly a growing desire among caring men and women to spread goodness in the world. The Sovereign Military Order of the Temple of Jerusalem is increasingly viewed as a means of doing so; its volunteer base is growing rapidly in terms of both numbers and talent. In order for a growing volunteer organization like SMOTJ to be effective on a large scale, it utilizes the varied talents of all and magnifies the results of their efforts through effective organization - all the while keeping a singular crusading focus.